This entry was posted on Friday, September 12th, 2014 at 9:00 pm	and is filed under Arduino, DIY. You can follow any responses to this entry through the RSS 2.0 feed. You can skip to the end and leave a response. Pinging is currently not allowed. It’s not just surface mount – I don’t have a working soldering iron. 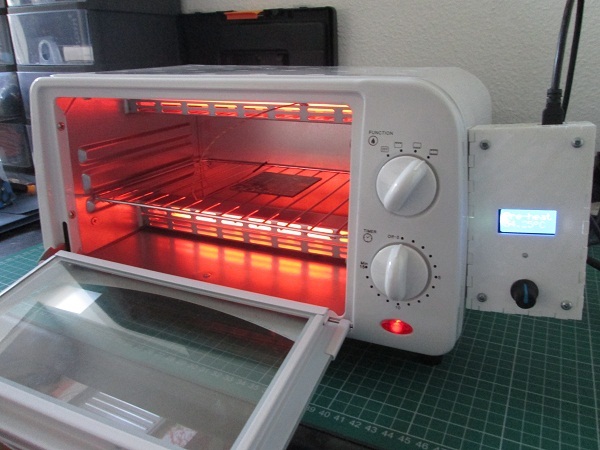 So if it doesn’t bolt and screw together, my reflow oven controller will need – a reflow oven.